Scientists identified an enzyme in animal studies whose activity promotes weight gain and the loss of exercise capacity starting in mid-life. A drug that inhibits the enzyme prevented weight gain in mice, increased fitness levels, and reduced the incidence of obesity and type 2 diabetes. The findings could lead to more effective weight-loss medications. Enzyme drives middle-age weight and fitness changes : Researchers have long known that losing weight and maintaining the capacity to exercise tend to get harder beginning between ages 30 and 40—the start of mid-life. Scientists have developed new therapies for obesity, including fat-fighting pills. 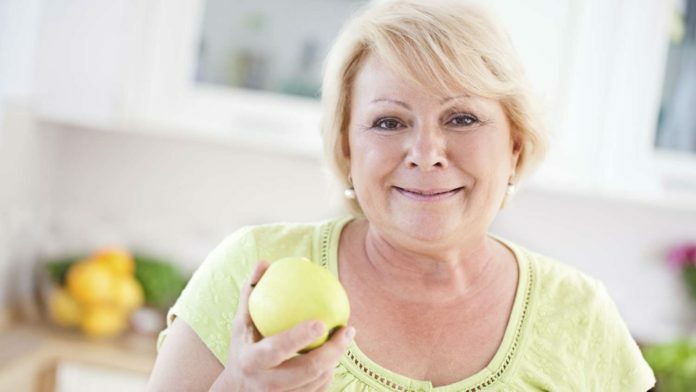 However, many therapies have failed because of a lack of understanding about the biological changes that cause middle-aged people to gain weight, particularly around the abdomen. Dr. Jay H. Chung, an endocrinologist at NIH’s National Heart, Lung, and Blood Institute (NHLBI), was always puzzled by the aging-weight gain paradox. An average adult in America gains 30 pounds from age 20 to 50, even though food intake usually decreases during this period. Chung and his associates thus searched for biochemical changes in middle-aged animals (human equivalent of 45 years). Their study appeared on May 2, 2017, in Cell Metabolism. The team focused on an enzyme called DNA-dependent protein kinase, or DNA-PK. This enzyme is activated by a specific kind of DNA damage, but evidence has been mounting that DNA-PK has functions beyond DNA repair. One such function is in metabolism. The scientists looked at levels of DNA-PK activity in the skeletal muscles of rhesus macaques and mice. These levels were low over time until middle-age, when they rose significantly. Further experiments showed that DNA-PK activity promotes the conversion of nutrients to fat and decreases the number of mitochondria, the tiny organelles in cells that turn fat into energy to fuel the body. Mitochondria can be found in abundance among young people, but the numbers drop considerably in older people. Researchers know that fewer mitochondria can promote obesity as well as loss of exercise capacity. The researchers theorized that reducing DNA-PK activity might increase the number of mitochondria and promote fat burning. They tested their theory with a drug that inhibits DNA-PK. Mice that received the inhibitor had a 40% decrease in weight gain when fed a high-fat diet. The drug boosted the number of mitochondria in the skeletal muscle, increased the fitness of obese and middle aged mice, and reduced the incidence of obesity and type 2 diabetes. The team also examined the role of DNA-PK activity in calorie restriction and aerobic fitness, both of which can delay aging and protect against chronic diseases in animal models. Rhesus macaques on a calorie-restricted diet had lower levels of DNA-PK activity in skeletal muscle. Rats selectively bred to be strong runners also had reduced DNA-PK levels in their skeletal muscle—three-fold lower than poor rat runners. “Our society attributes the weight gain and lack of exercise at mid-life (approximately 30-60 years) primarily to poor lifestyle choices and lack of will power, but this study shows that there is a genetic program driven by an overactive enzyme that promotes weight gain and loss of exercise capacity at mid-life,” Chung says. These findings could lead to the development of a new type of weight-loss medication. However, DNA-PK inhibitors have yet to be tested this way in humans. Middle-aged people who are fighting obesity should continue to reduce calories and boost exercise.